According to recent reports from The Sun, Crystal Palace are set to re-sign academy graduate Victor Moses when the transfer window reopens in January. The Nigerian international earned his big chance at Selhurst Park as a youngster and has since established himself as a quality Premier League player, his defining moment being a title win with Chelsea during Antonio Conte’s first season in charge. But Moses has suffered from the change in management at Stamford Bridge and The Sun believe his boyhood club have won the race for the 28-year-old’s services. Could there, however, be a downside to bringing Moses back to his former stomping ground? The introduction of Moses would suggest Hodgson is ready to change formation from the 4-4-2 setup that he’s relied during his time at Selhurst Park. That system uses Wilfried Zaha and Andros Townsend as roaming forwards, however throwing another attacker into the mix would likely see Palace become far more of a 4-3-3 team, with Townsend on one wing and Moses on the other. In turn, that could see summer signing Max Meyer move from out wide to a more central attacking role, where he should get more license to dictate play and create chances for the three forwards in front of him. But it would also likely result in Zaha becoming the lone centre-forward, a role he’s really struggled with at times this season – simply because he’s not given the opportunity to turn defenders and cut in on his stronger foot. 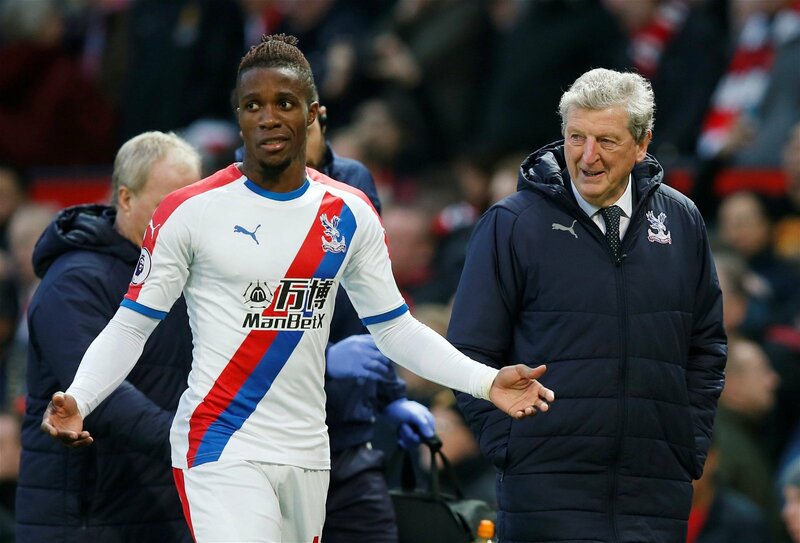 While Moses should give Zaha more support in attack then, the Ivory Coast international’s individual form could take a further hit in what has been an underwhelming season so far for the Palace talisman. It’s no secret that money is tight at Selhurst Park right now, so spending £12million on Moses suggests there won’t be much left in reserve for a new centre-forward, something the Crystal Palace fans are crying out for and the team desperately need. Roy Hodgson also told reporters earlier this month that the club don’t need to sign reinforcements up front during the January transfer window, hinting that he’s already aware signing a star-studded centre-forward capable of giving the team what Christian Benteke can’t isn’t on the club’s agenda. There’s plenty of Premier League quality in this Crystal Palace team but without an effective centre-forward they will inevitably spend the season looking over their shoulders at the relegation zone rather than upwards at a top eight finish. Moses is a decent talent at this level and there’s certainly a romantic aspect about him returning to Selhurst Park after rising through the club’s academy before making a move to Wigan in 2010. But it’s also a case of more of the same from the Eagles; Jordan Ayew, Andros Townsend, Alexander Sorloth and Christian Benteke are all physical forwards who work hard, can help bring others into the game and make an impact on the break, but none are consistent goalscorers. Moses, likewise, is incredibly quick and industrious but has managed just 31 goals from 278 Premier League appearances to date. That works out at just shy of one goal every nine games. Perhaps that wouldn’t be such a problem if Zaha was matching the level of output he produced last season, but it’s been a difficult campaign so far.